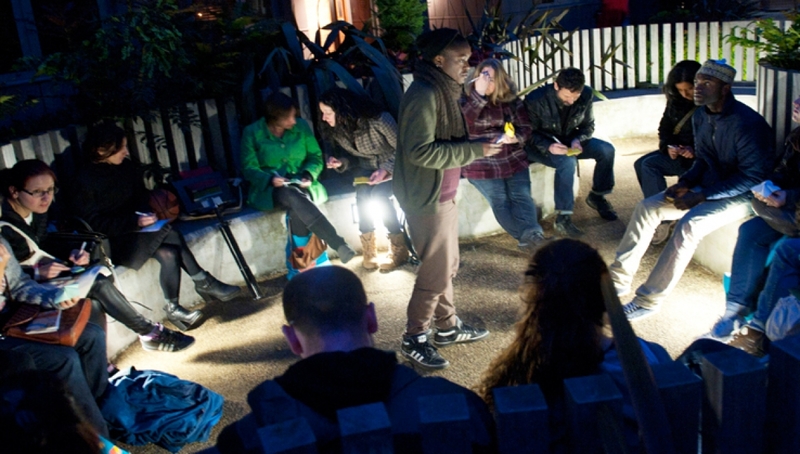 Award-winning poet, playwright and performer Inua Ellams began the Midnight Run in 2005 after a bus failed to arrive on time. Choosing to walk the bus route, he discovered the tranquillity of the city at night and wished to share the experience with other urban dwellers. Now its tenth year, the Midnight Run gathers complete strangers to play, walk, explore and reclaim streets and hidden spaces in cities. A two-week festival of spoken word, live performance and storytelling. Please note this event takes place offsite and runs until midnight. Meeting point at the Roundhouse.